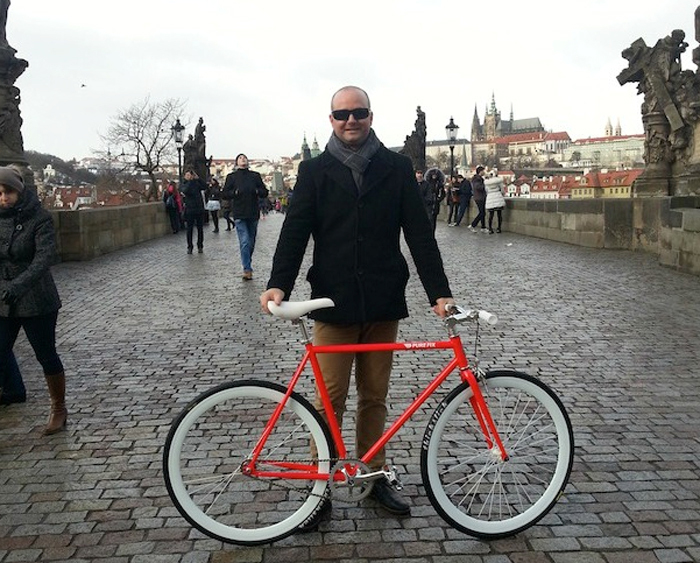 Fixed gear bicycle brand Pure Fix Cycles today announces the appointment of bike industry veteran Rob Kozich as International Sales Manager. The addition follows the opening of Pure Fix’s European corporate office in Rotterdam, The Netherlands in August 2014 and further positions the brand for significant growth in the international marketplace in 2015. Kozich brings 15 years of experience working in international distribution and retail with Trek and Dahon to the Pure Fix team. He will be based in Prague, Czech Republic, where his focus will be on developing Pure Fix’s international sales and business strategies. Founded in Los Angeles in 2010, Pure Fix quickly carved out a niche for itself in the urban and commuter communities by designing and marketing high quality fixed gear and single speed bikes for women and men that are stylish, comfortable, durable and a great value. Pure Fix expanded its repertoire in late 2013 with the Pure City line of urban/commuter lifestyle bikes for women and men in single, three and eight speed versions.